The Defense Department is on schedule in its plan to deliver its fiscal year 2017 budget plan by the end of January or early February, the Pentagon’s lead acquisition official told the Potomac Officers Club Wednesday. 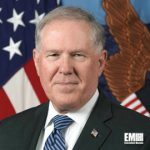 Frank Kendall — undersecretary for acquisition, technology and logistics — told the audience in McLean, Virginia the two-year budget deal signed in early November gives DoD some stability. “We are now looking to make adjustments necessary because of the deal but it is on track, ” Kendall said. DoD’s budget will go down approximately 3 percent between fiscal years 2016 and 2017, Kendall said. R&D, modernization and procurement funds will likely be subject to cuts in DoD’s fiscal 2017 budget framework but no final decisions have been made, he said. Still, Kendall cautioned the audience over the prospects of R&D reductions in 2017 and after. Kendall was the keynote speaker for the POC’s Defense Research & Development event, a half-day forum for government and contracting executives in attendance to get an update on the military’s current R&D environment and both short- and long-term outlooks for the armed forces in technology programs. DoD is looking for non-traditional sources of technology it previously would have seen longer delays for in efforts to acquire those tools, he said.